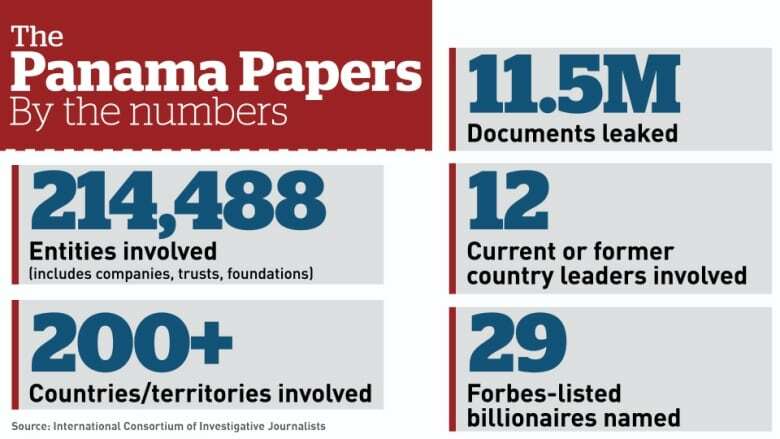 The so-called Panama Papers are creating a ripple effect around the world, with governments and world leaders reacting to the release of records detailing offshore holdings of a dozen prominent politicians, as well as businessmen, criminals, celebrities and sports stars. World leaders are facing questions after being linked to 11.5 million leaked documents from a Panama-based law firm that offer a glimpse into the shadowy world in which the rich and powerful stash their wealth by using shell companies that hide the identity of their true owners. News organizations around the world, including CBC News, are working with the Washington-based International Consortium of Investigative Journalists to process the massive leak of legal records from the Panama-based Mossack Fonseca law firm that was first given to the Sueddeutsche Zeitung newspaper in Munich, Germany. The document dump first reported Sunday shows the hidden offshore assets of politicians, businesses and celebrities around the world, including 12 current or former heads of state. Among the countries with past or present political figures named in the reports are Iceland, Ukraine, Argentina, Pakistan, Saudi Arabia and Russia — and the news was causing political storms for the leaders of those first three nations. The law firm said in a statement it observed all laws and international standards covering corporate registrations. Reports based on the leak said Icelandic Prime Minister Sigmundur David Gunnlaugsson set up a company called Wintris Inc., in the British Virgin Islands in 2007 with his partner at the time, Anna Sigurlaug Palsdottir, who is now his wife. He reportedly sold his half of the company to Palsdottir for $1 on Dec. 31, 2009, the day before a new Icelandic law took effect that would have required him to declare the ownership of Wintris as a conflict of interest. Wintris lost money as a result of the 2008 financial crash that crippled Iceland, and is claiming a total of 515 million Icelandic kronur ($5.5 million Cdn) from the three failed Icelandic banks: Landsbanki, Glitnir, and Kaupthing. "I have not considered quitting because of this matter nor am I going to quit because of this matter," a defiant Gunnlaugsson told parliament. "The government has had good results. Progress has been strong and it is important that the government can finish its work." He left the building as protesters gathered outside. 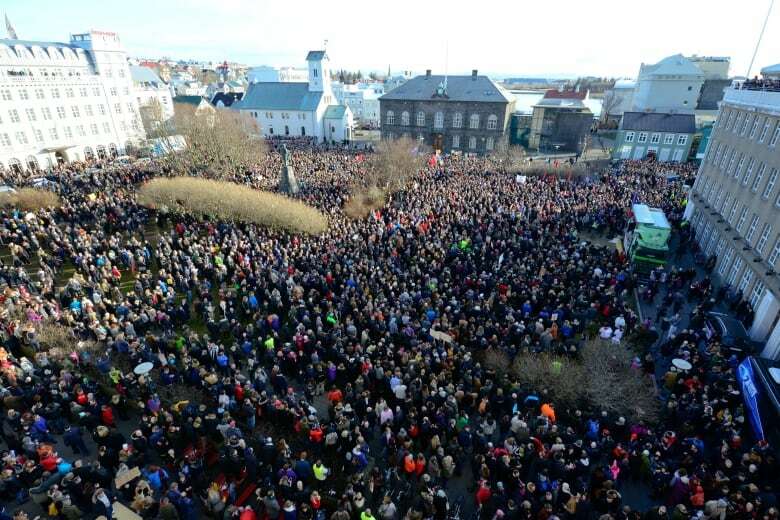 Police estimated the crowd at 8,000 people — a throng called by duty officer Arnar Runar Marteinsson the largest protest he had ever seen in Reykjavik. Participants blew whistles, banged pots and pans, set off fireworks and stomped the barricades separating the protest site from the parliament building. The sound was deafening and reminiscent of the sustained protests in 2008 and 2009 that led to the fall of the government after a financial collapse crippled the island nation. The office of Argentine President Mauricio Macri, meanwhile, confirmed a report by La Nacion newspaper that a business group owned by Macri's family had set up Fleg Trading Ltd. in the Bahamas. But it said Macri himself had no shares in Fleg and never received income from the company. Documents from Mossack Fonseca indicate that Ukraine President Petro Poroshenko set up an offshore holding company to move his candy business to the British Virgin Islands, possibly saving millions of dollars in Ukrainian taxes. 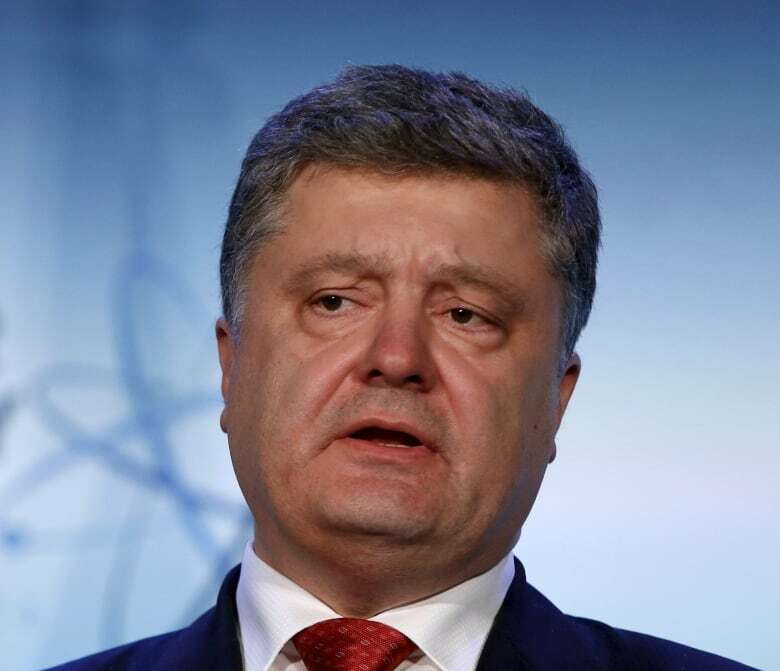 Poroshenko had promised voters he would sell his business when he ran for office. Sergei Roldugin, a childhood friend of Putin, was listed as the owner of companies that obtained payments from other companies worth tens of millions of dollars, and the owner of a stake in Bank Rossiya, described by the U.S. Treasury as "designated for providing material support to government officials." "The evidence in the files suggests Roldugin is acting as a front man for a network of Putin loyalists — and perhaps for Putin himself," the consortium says. Roldugin was unavailable for comment on Monday. A receptionist at the St. Petersburg House of Music, where he is artistic director, said he was not in. 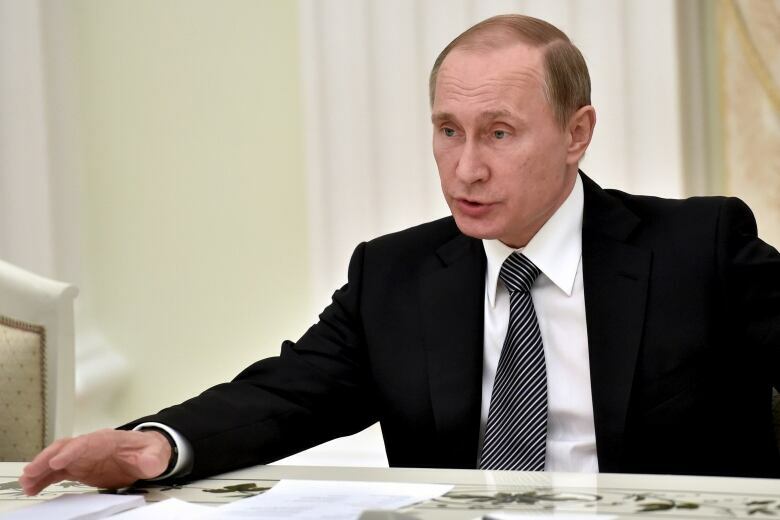 Putin spokesman Dmitry Peskov claimed the Russian president was the "main target" of the investigation, which he suggested was the result of "Putinophobia" and aimed at smearing the country in a parliamentary election year. He suggested that ICIJ has links to the U.S. government. The ICIJ is not funded by the government and is part of the non-profit, non-partisan Center for Public Integrity. "I don't consider it possible to go into the details" of allegations that Putin's friends ran an offshore scheme, Peskov told reporters, "mainly because there is nothing concrete and nothing new about Putin, and a lack of details." 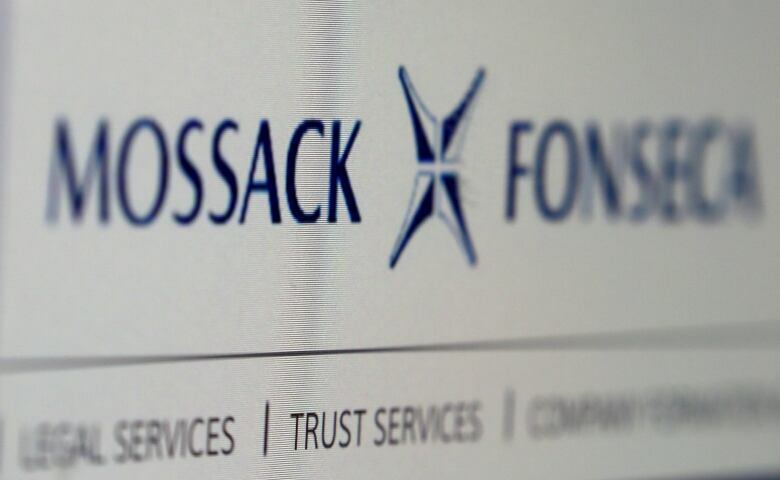 In Australia, the tax agency said Monday it was investigating more than 800 wealthy people for possible tax evasion linked to their alleged dealings with Mossack Fonseca, a Panamanian law firm with international offices that provide offshore financial services. The Australian Tax Office said it had linked more than 120 of those people to an offshore services provider in Hong Kong, but did not name the company. Ramon Fonseca, a co-founder of Mossack Fonseca — one of the world's largest creators of shell companies — confirmed to Panama's Channel 2 television network that documents investigated by the ICIJ were authentic and had been obtained illegally by hackers. But he said most people named were not his firm's direct clients but were accounts set up by intermediaries. Anti-corruption advocates say legal standards on so-called shell companies have improved in some countries but are not tough enough. The G20 leaders adopted 14 principles at a 2014 summit. The essence was that companies should be able to identify to authorities who their real owners are, otherwise, that opens the way for money laundering and tax evasion. Yet in a followup report in September, the anti-corruption group Transparency International said the actual implementation of the recommendations into national law had lagged. Most member countries had at least adopted a clear definition of what real ownership means, but lagged on requiring law firms and banks servicing the rich to require — and independently confirm — who the real owner is. Development advocates say shell companies help crooked officials drain tax and natural-resources revenue from poor countries that desperately need the money. The ICIJ said the documents involve 214,488 companies and 14,153 clients of Mossack Fonseca. The non-profit group said it would release the full list of companies and people linked to them early next month. Sueddeutsche Zeitung said it was offered the data more than a year ago through an encrypted channel by an anonymous source. The source sought unspecified security measures but no compensation, said Bastian Obermayer, a reporter for the paper. The data dated from 1977 through the end of 2015, the paper said. The newspaper and its partners verified the authenticity of the data by comparing it to public registers, witness testimony and court rulings, Obermayer added. "It allows a never-before-seen view inside the offshore world — providing a day-to-day, decade-by-decade look at how dark money flows through the global financial system, breeding crime and stripping national treasuries of tax revenues," the ICIJ said. Panama "is the last major holdout that continues to allow funds to be hidden offshore from tax and law enforcement authorities," said Angel Gurria, secretary-general of the Organization for Economic Cooperation and Development. The OECB is an international organization representing mostly rich countries and has been working with the G-20 to restrict the use of shell companies. Panamanian President Juan Carlos Varela issued a statement saying his government had "zero tolerance" for illicit financial activities and would co-operate "vigorously" with any investigation. More revelations are on the way. Sueddeutsche Zeitung said its Tuesday edition would report that 28 German banks had used Mossack Fonseca's services to set up 1,200 shell companies for their clients.